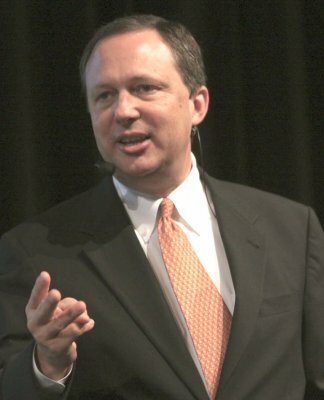 Michael Brown was the first Under Secretary of Homeland Security for President George W. Bush from 2003-2005, Director, Deputy Director & General Counsel, FEMA, 2001-2005. At the White House he served on the Consequence Management Committee, comprised of cabinet deputies, following the attacks of 9/11, and headed the White House transition team for Emergency Preparedness & Response, Department of Homeland Security. He also served on the National Security Council’s Deputies Committee. 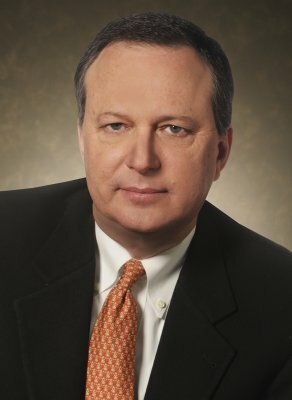 During his tenure in the Bush Administration Michael served as a representative to NATO’s Civil Emergency Planning Committee, working on various matters in Russia, the European Union, and Southeast Asia. 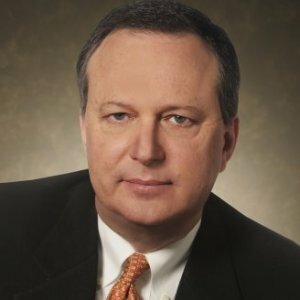 He is a frequent guest on national television news programs, providing insightful and unique perspectives on issues of national security, crisis management, and politics. He is a blogger on national security issues for The National Journal, writes on politics for The Daily Caller & The Huffington Post. 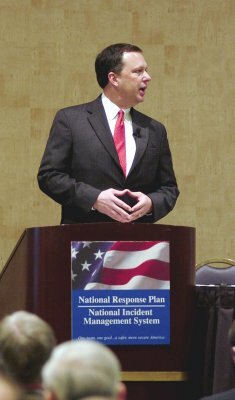 He has written and served as an expert for publications such as the Homeland Defense Journal, Crisis Response Journal and others. He is the author of “Deadly Indifference: The Perfect (Political) Storm” which poignantly describes the role of politics in a risk-aversion society facing natural or manmade disasters. He has spoken around the world on issues of homeland security, crisis management and disaster response. Michael earned a Juris Doctorate and has taught law school at the Oklahoma City University and University of Denver on legislation, state & local government, and national security. Michael recently founded a high tech company with several other partners, and now serves as its board chairman. In addition to other public company boards, he serves on the editorial board of Homeland Security Television. 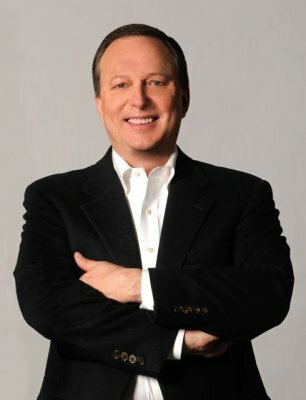 Michael hosts The Michael Brown Show on Clear Channel Communication’s KOA Radio from Denver, where he is heard in 38 states, Canada, and Mexico. First Under Secretary of Homeland Security under President George W. Bush. Twice confirmed by the United States Senate, first as Director of the Federal Emergency Management Agency (FEMA) and as Under Secretary, DHS. The first Commissioner of the IAHA, charged with imposing a culture of ethics, higher education and professional responsibility on a worldwide equine membership organization, resulting in the prosecution of corruption and unethical behavior, imposition of licensing standards and education standards. 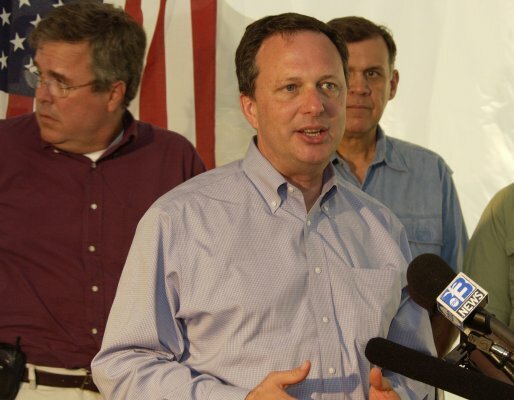 Appointed by George W. Bush as General Counsel to the Federal Emergency Management Agency. Michael Brown immediately engaged with the delegates on the issues that he faced during the “Hurricane Katrina" period. Mr. Brown gave a hugely honest direct presentation that delved into the facts surrounding the Hurricane Katrina disaster, which facilitated greater understanding of the events during which the audience warmed and responded to Michael’s clear presentation and style. He didn't move away from either difficult topics or challenging questions and handled all the issues with grace, reasoned answers and great warmth and charm. Many afterwards commented on their new found respect for Mr. Brown. Our audience made it very clearly known that his presentation and presence had truly enriched the whole experience. Michael Brown's presentation transcended the multiple countries, languages and delegates at this venue. He spoke from the heart and everyone was enthralled with his dedication to help people in need. His personality and delivery made for an exciting and robust exchange of ideas. Michael's presence encouraged the delegates to think beyond their finger tip, stretch for new ideas and be willing to learn from past mistakes. 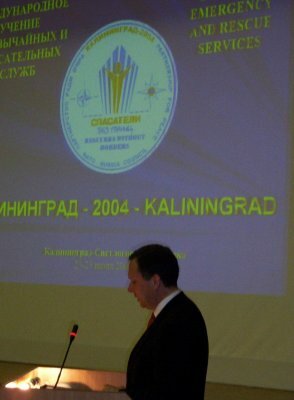 His participation in IDER 2006 is still considered THE highlight of all IDER programs. Yes, Michael Brown is a tried and true professional in his field. Michael is gifted, talented and has a fantastic message everyone in the Emergency Management field MUST hear! Can You Handle the Media? The crisis has hit, you and your company are under attack. How do you respond? How do you survive? Listen to the gripping tales of being thrown under the bus by the leader of the free world in a highly public, media-driven society, and recognize the methods and traits that will keep you and your company from staying under the bus. Think your company or organization can survive a disaster? Convinced that your employees are loyal, prepared and dedicated? What really happens when the proverbial you-know-what hits the fan? Well, think again. In every disaster, every crisis, things happen you'd never expect. Learn how to expect them, deal with them and survive. Deadly Indifference can infect any organization, leading to a culture of arrogance that can spell doom for you and your employees. Learn how to inoculate yourself from this deadly disease. Politics is high profile, public and unforgiving. The same is true in every business, in every life. Learning how to deal with those crisis situations and surviving them is key - but will work only if you know how to do it before the crisis arises. What else matters? Hear the heartfelt stories of people in disaster, including yours truly, and how those three things - God, Faith and Family - can keep you, your organization and family together.